iA Writer Pro is a professional writing suite that gives you full control over your notes, drafts and edits. 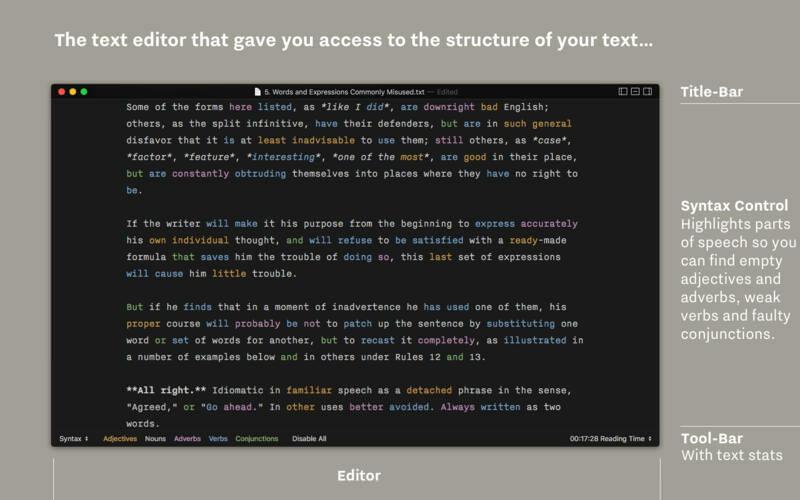 iA Writer is designed to provide the best digital writing experience: Keep your hands on the keyboard and your mind in the text. iA Writer now comes with an integrated library for all your documents. With a swipe to the right you have easy access to all your texts in one place. With synchronized scrolling Preview, iA Writer consciously separates form and content. 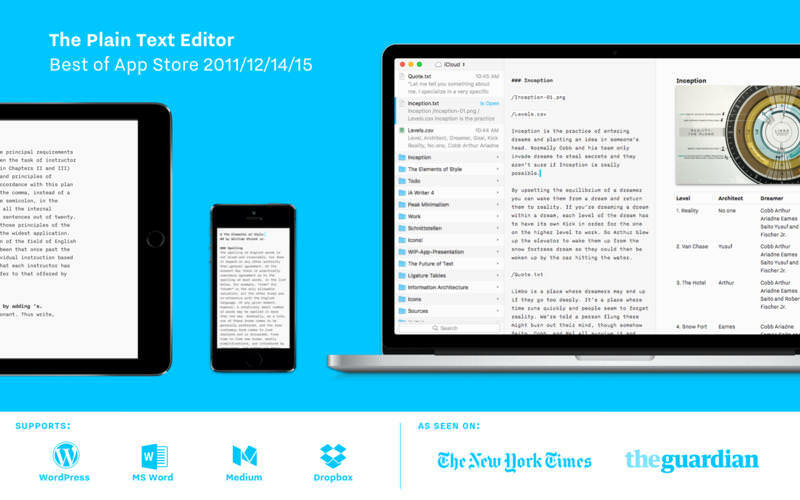 It optimizes plain text writing while offering stellar formatted export—with world class typography. 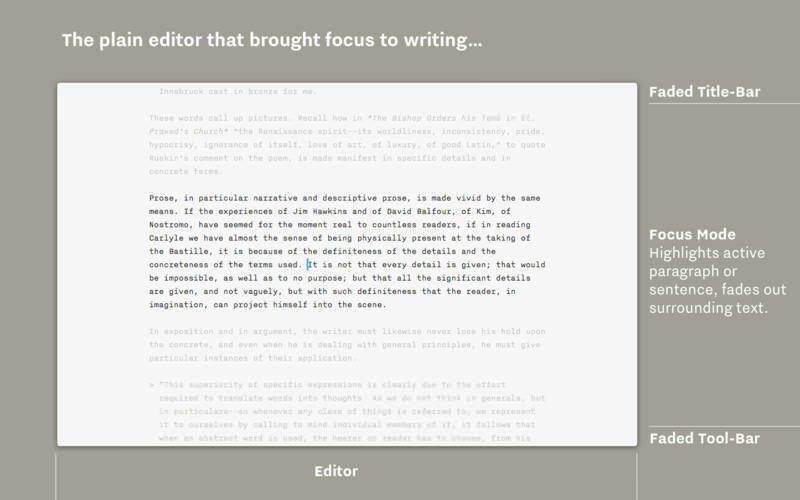 iA Writer is famous for offering a deeper focus on your text. Its unique tools improve your writing style by honing your concentration: One sentence at a time, or by highlighting different parts of speech. With seamless Dropbox and iCloud sync, iA Writer keeps your documents safe and at hand on whatever device you are using when inspiration strikes.